HOURS: Saturday 12:00 - 6:00 p.m.
Sunday 12:00 - 6:00 p.m.
Our Quincy Tasting Room is where it all began. Located on our 120-acre homestead, it is a rustic room nestled into our working winery and warehouse. The adjacent covered area, the Crushpad, is where we crush and press grapes, as well as hold our seasonal dinners. The experience is distinctly rural, and deeply relaxing — warm sun, fresh air, abundant growth. Our grapes love it here, and you will, too. From spring to late fall, Beaumont Cellars hosts Crushpad Dinners at our Quincy Tasting Room. Our wines are expertly paired with fresh, creative offerings prepared by local chefs exclusively for the event. There's often live music, and Pete and Katie Beaumont are always on-hand to greet guests, talk wine, and join in the fun. 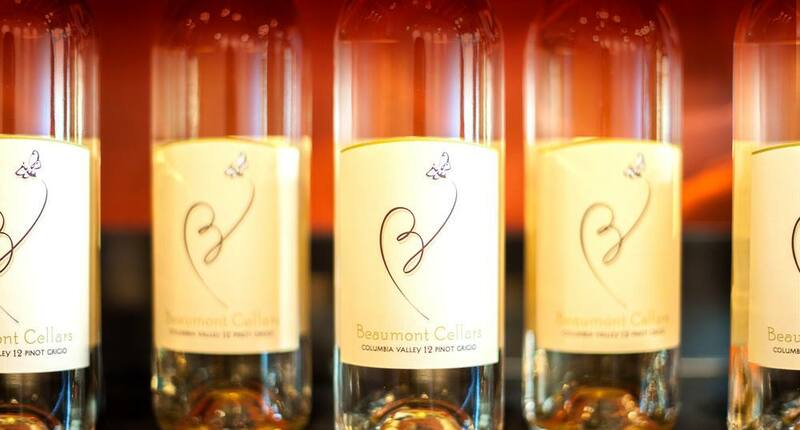 The grounds at Beaumont Cellars are an ideal location for country weddings, small business retreats, and other special events.